Home/Nutrition & Recipes/Articles/How Can Your Family Create an Eco-friendly Home? How Can Your Family Create an Eco-friendly Home? As parents, we want to set a good example for our children. Part of this is being kind to our planet and aware of the environmental issues that threaten it. The best part is, you don’t have to drastically change your life — just taking a few steps in the right direction will make a huge difference. Keep reading to learn everything you need to know about being an eco-friendly family. Did you know that Singapore uses 430 million gallons of water a day? That’s a lot of water, in fact, it could fill 782 Olympic pools — and we can definitely do better! There are simple ways you can be savvier when it comes to water usage. Think about installing an eco-friendly shower head, turn off the sink tap while you wash your face, brush your teeth, or do the dishes, check your pipes periodically for leaks, and make an effort to take short showers. Start reducing by using and purchasing only what you need, and choose products with less disposable packaging. Reuse items such as water bottles and containers. And, recycle plastic and other materials. Babies can go through a staggeringly high amount of diapers — so the decision to with reusable ones against disposable is an incredibly eco-friendly choice, keeping in mind that disposable diapers can take an estimated 500 years to decompose. But not only that, it’ll also be way cheaper in the long run (while reusable diapers may seem more expensive, you only buy them once), and they are also more gentle on your bubs’ skin. Babies who use cloth diapers tend to suffer from lesser diaper rash since natural cotton fibres allow for more breathability. The manufacture and disposal of plastic bags have an enormous impact on the environment, including animal and ocean welfare and water usage. Ditch plastic bags and make the switch to reusable shopping bags. While a small change, the lifespan of one reusable bag can save the production of 6,000 plastic bags. Try to avoid appliances that use too much energy, such as the air conditioner or the clothes dryer. While these appliances may make our life a bit easier, you can do without them most of the time. Dry your clothes on the line and open your windows (cross-ventilation) in order to let some fresh air in. The majority of the cleaning products sold in the supermarkets are packed with harsh chemical-based bacteria killers — which will do a great job at cleaning but can also be awful for the environment. Think about using natural cleaning supplies — they are relatively easy to buy in Singapore. By opting for a daily commute on the bus or train, you’ll be doing your part to reduce harmful carbon emissions, as well as saving lots of money in petrol, car park charges, and other infinite cost associated with owning a car. Many communities now in Singapore have toy libraries, which is an incredible opportunity to recycle and share resources amongst families. Once you’ve joined, you’re able to borrow a set number of toys and use them for a couple of weeks, and then return it. It also means that many families are using just one set of purchases. When bub is finally ready to move onto solids, do so consciously by preferring natural foods. 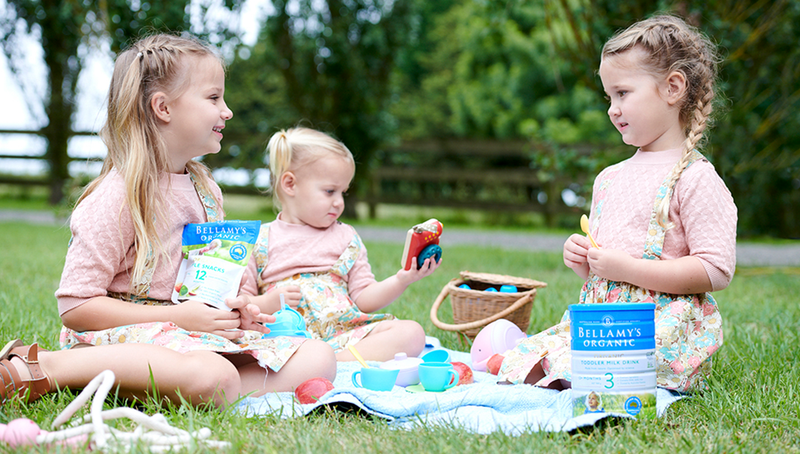 All Bellamy’s Organic food has been made with sustainability in mind. This can help your cause by cutting down on packaging, eliminating food waste and reduce the weekly cost of your supermarket shop, as you’re not buying additional items. Being an eco-friendly family can not only help the planet but also your wallet — as it’s all about using resources in an effective manner. With the simple tips mentioned above, you can turn your household into a more environmentally-conscious one without changing your life drastically.